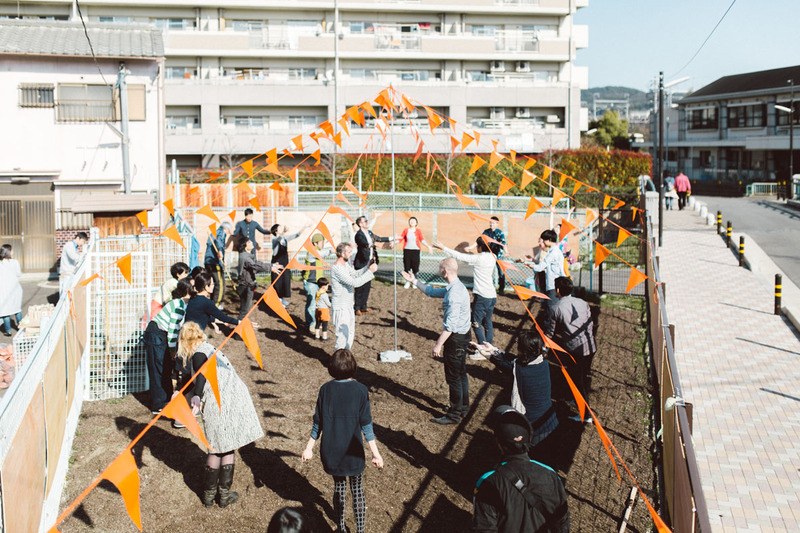 The Happy Weeds project took place in the Suujin Area during STILL MOVING 2015 as part of the Parasofia Art Festival and comprised of two different parts. 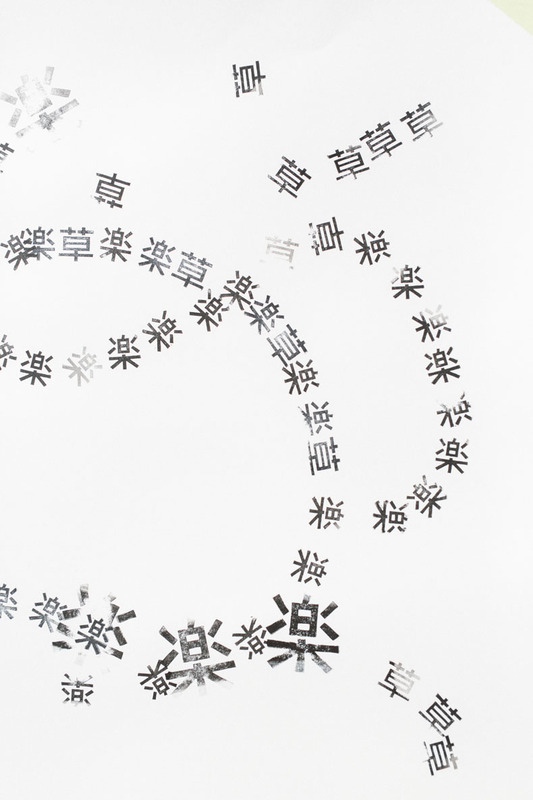 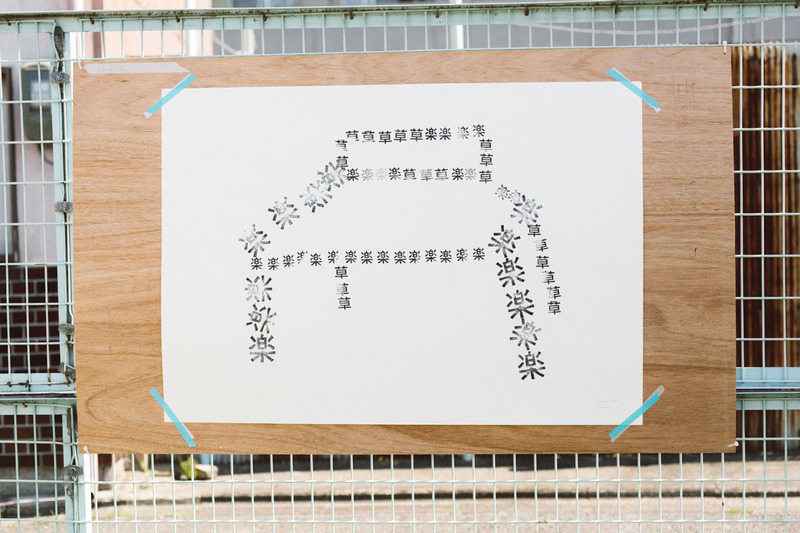 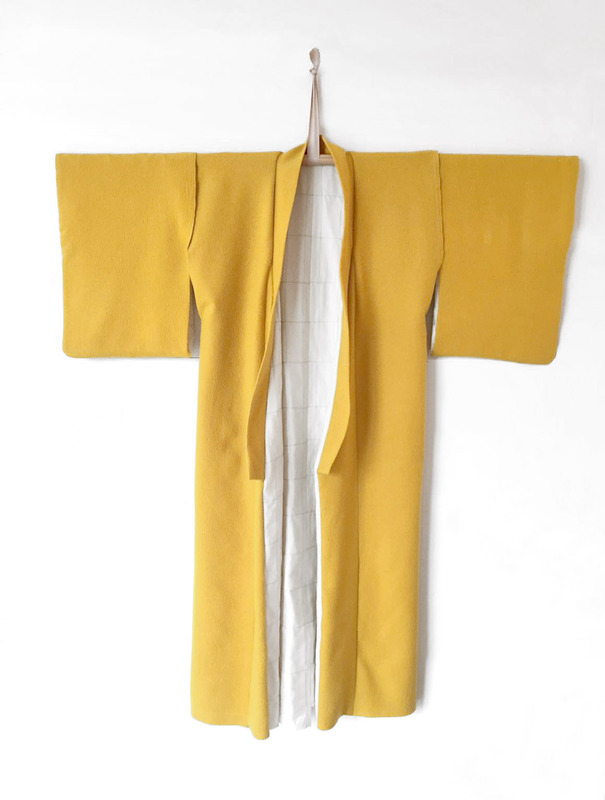 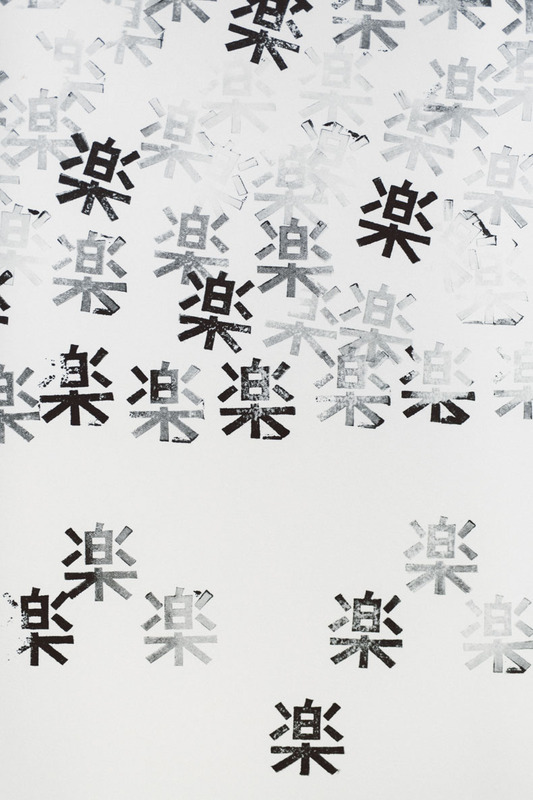 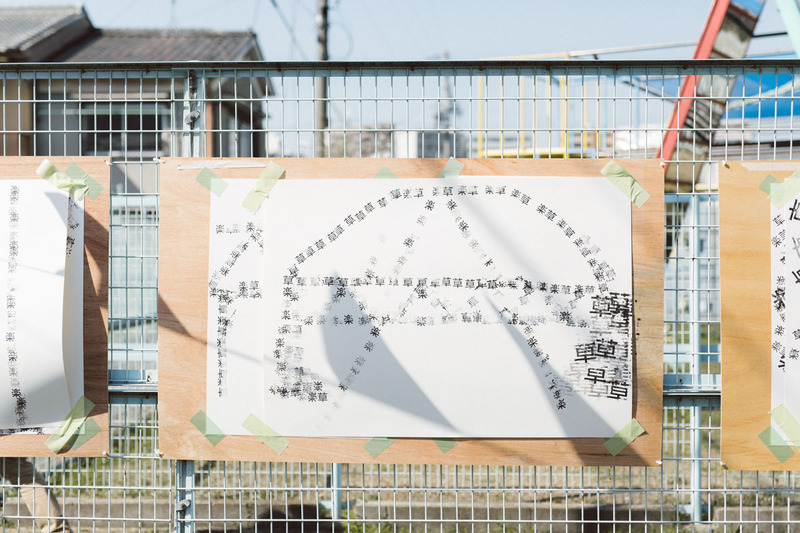 For the first one, the Japanese characters of Happy and Weeds played a central role in creating new art works. 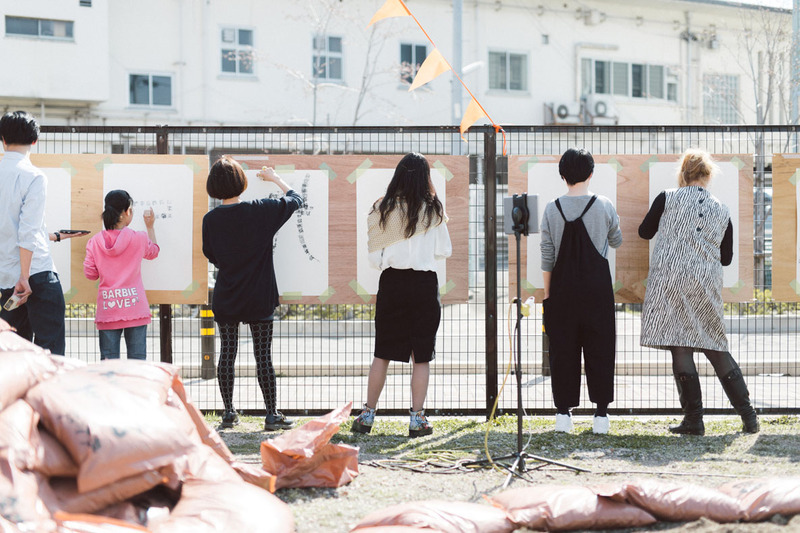 Together we stamped them during a joyous ceremony on-site in Suujin. 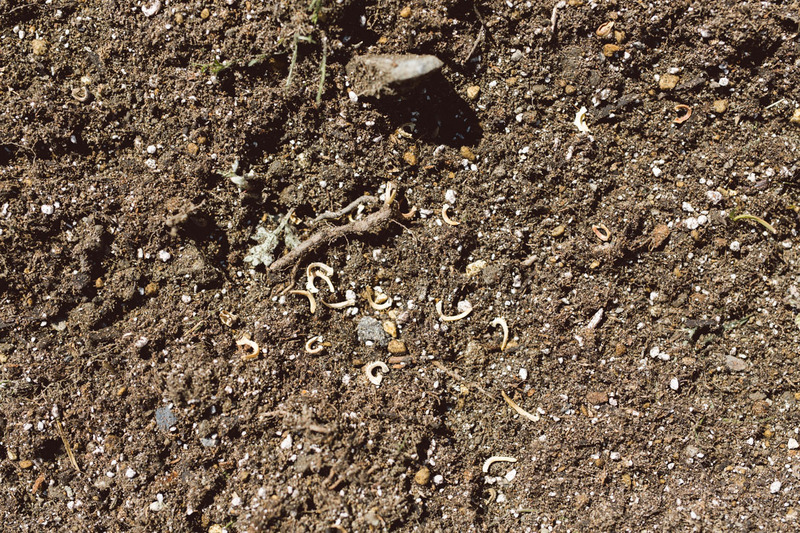 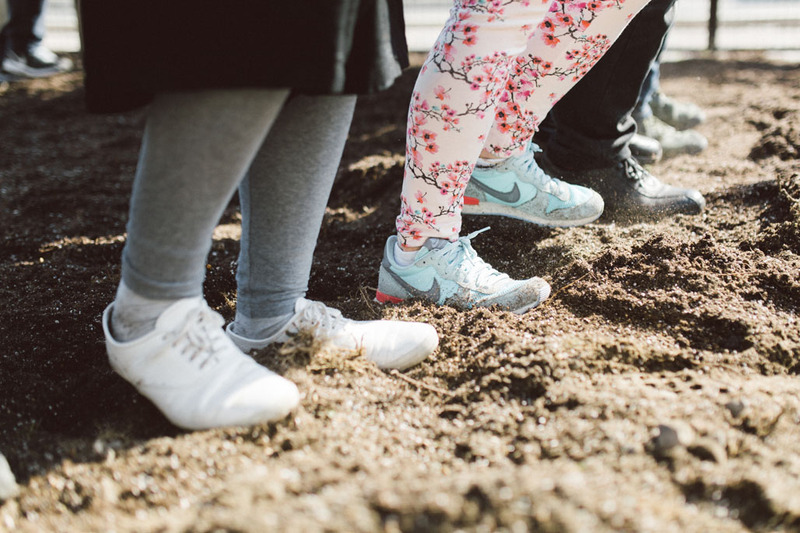 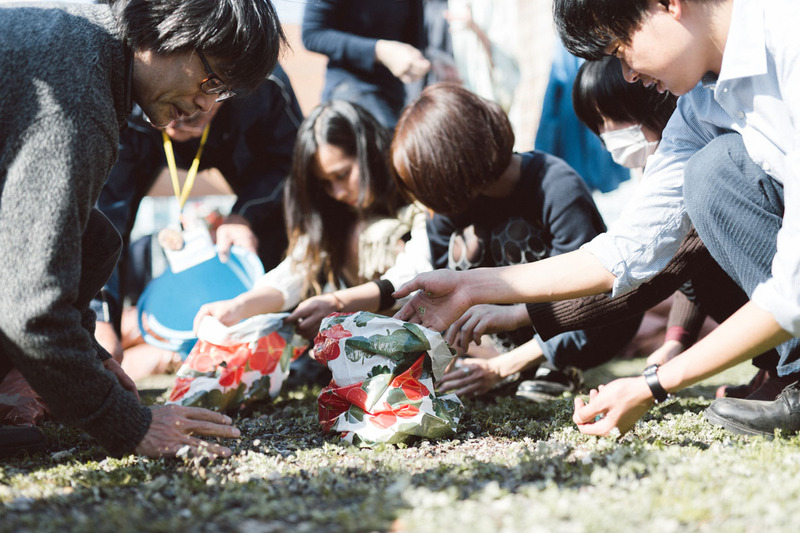 In the second part we worked to clean the soil. 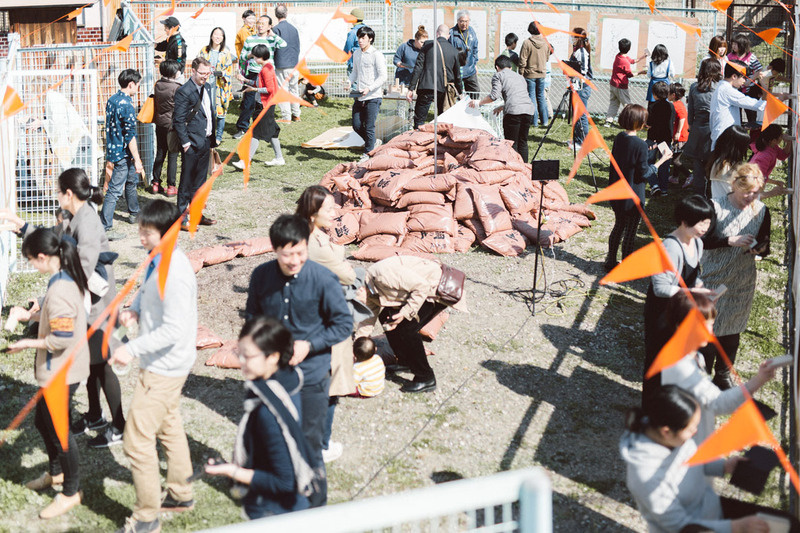 Taking out the rubble and waste of the abandoned pieces of land and replacing them with new potential. 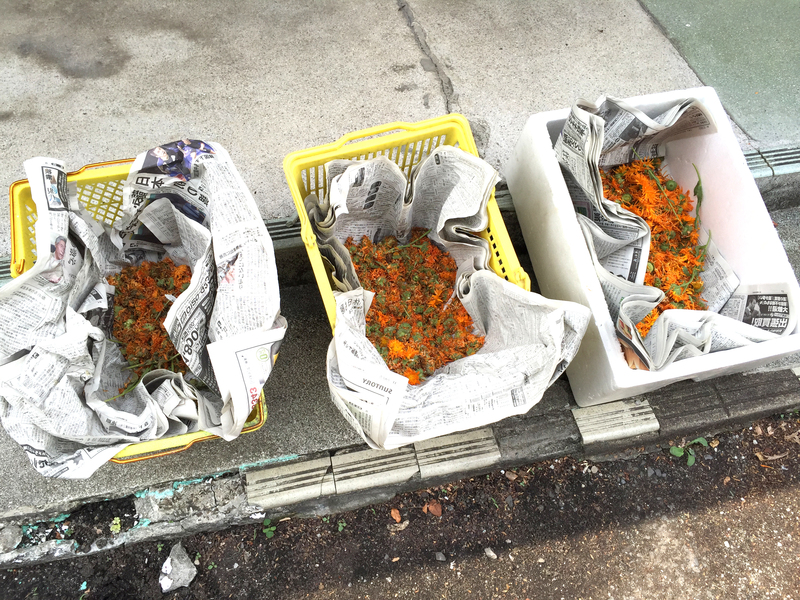 Here the seeds of the marigold flower were key. 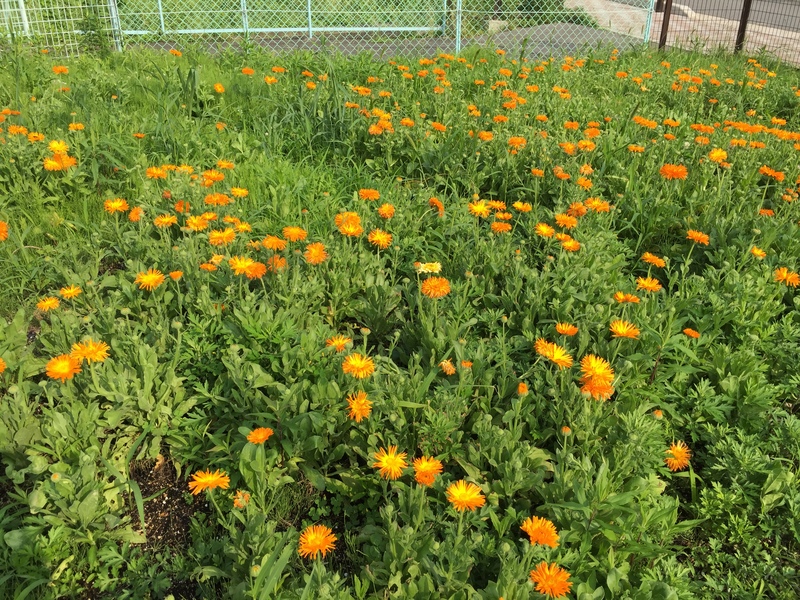 Known for their healing qualities and radiant appearance, we sowed the marigold seeds that would later turn these desolate patches into shining fields of gold. 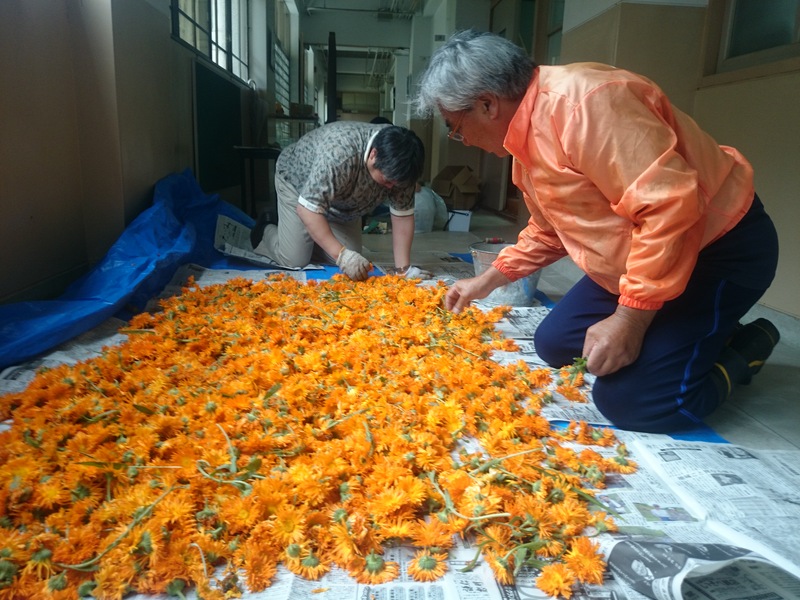 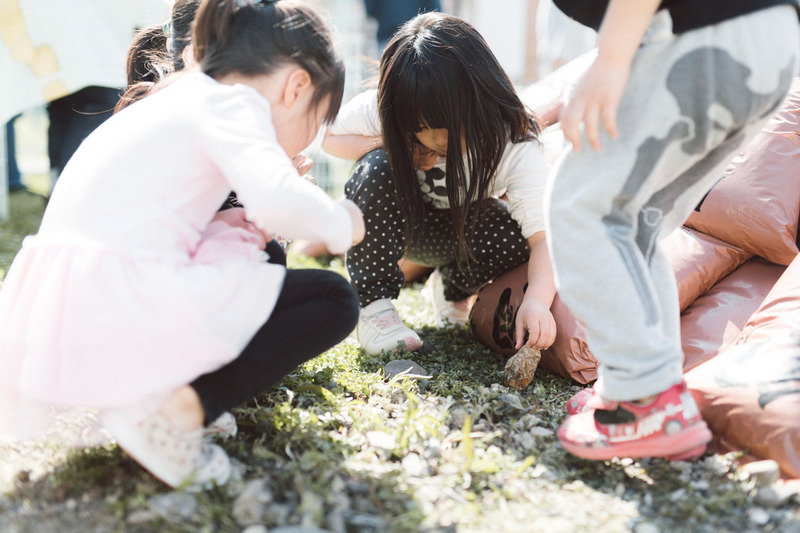 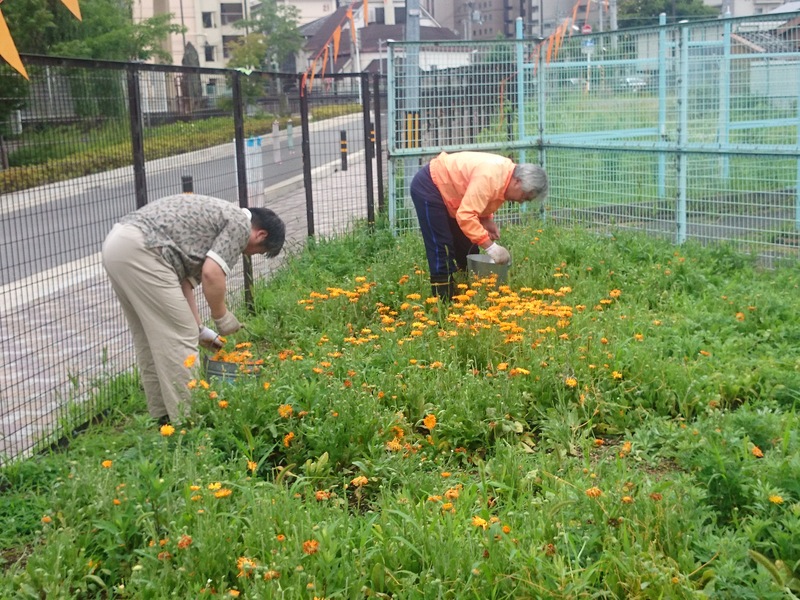 Afterwards we collected the leaves of the flowers to create a textile dye. 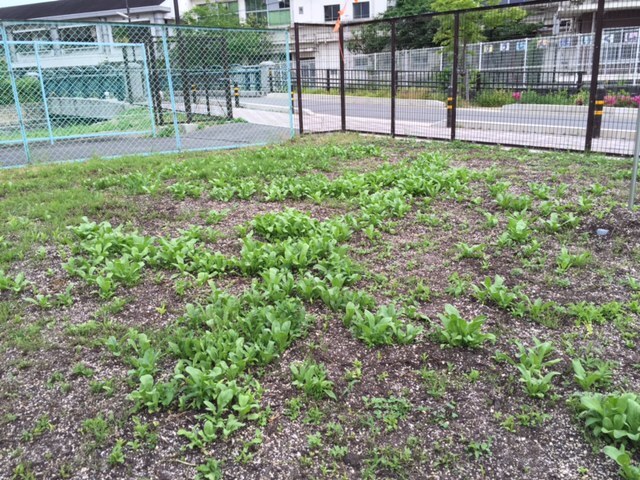 During the STILL MOVING 2016 the story of Happy Weeds is recaptured in a mixed media installation. 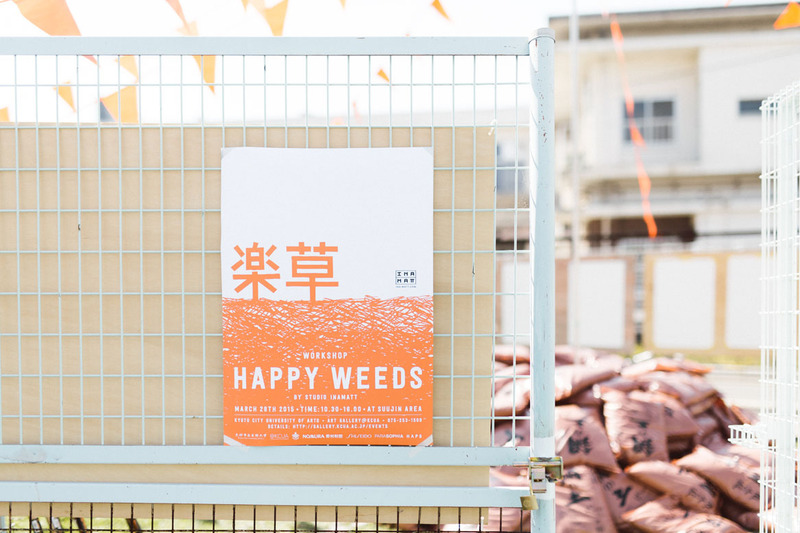 Besides the art pieces that were made with all participants, a textile, audio-visuals, photographic prints and soundscapes have the story of Happy Weeds unfold yet again in a new appearance. 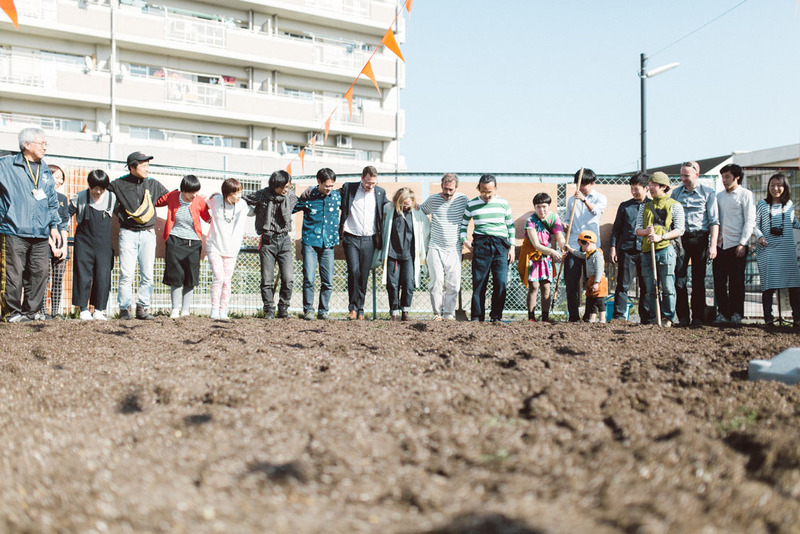 Through a simple, yet profound gesture we made space for change in the urban reality. 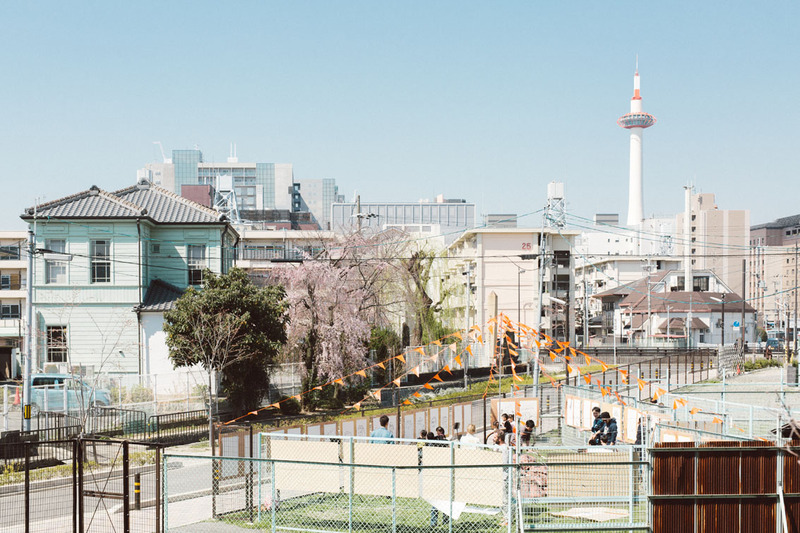 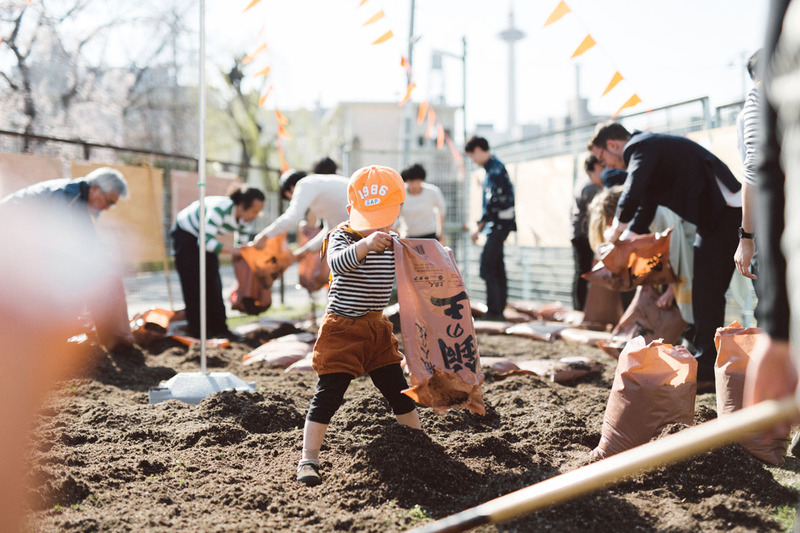 We hope this transformation will blossom in the city of Kyoto and lingers in all our minds for a long, long time. 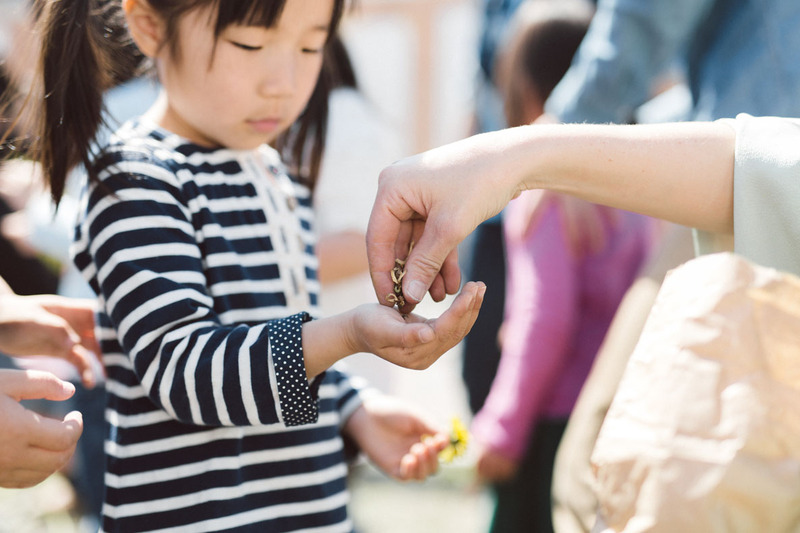 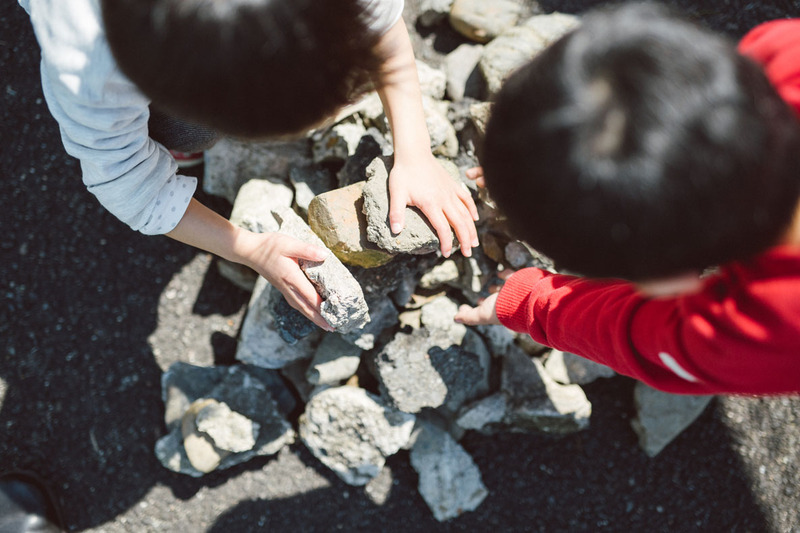 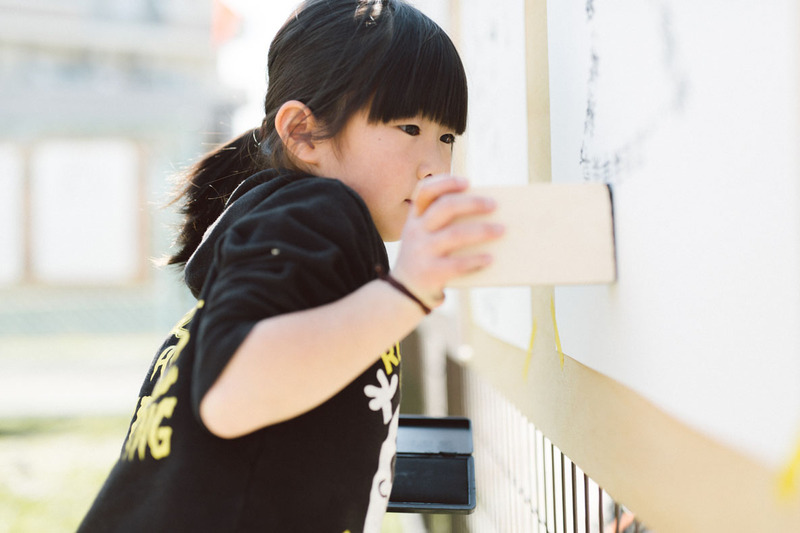 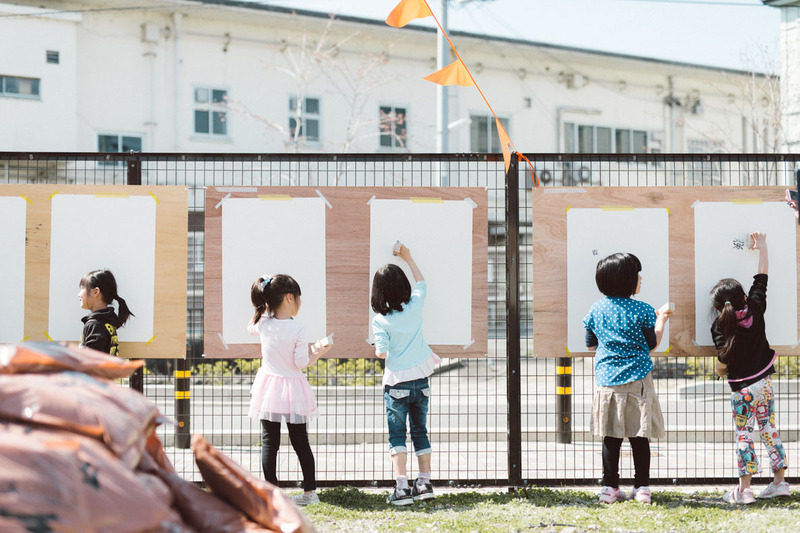 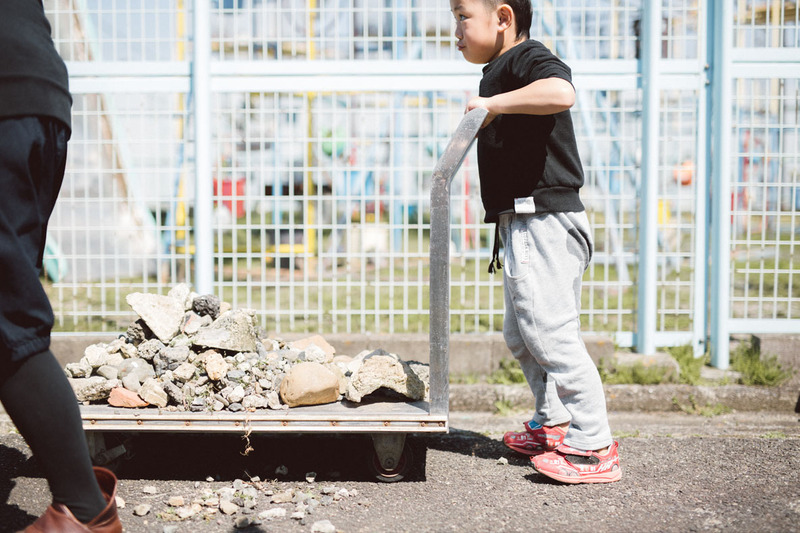 Participants: inhabitants of the Suujin area, students of art and design of the Kyoto Contemporary University of the Arts, children of the local elementary school and several officials of the world of cultural diplomacy.